Truth by Kbaig: After Effects of American Withdrawal from Afghanistan on Baluchistan!!! After Effects of American Withdrawal from Afghanistan on Baluchistan!!! Despite of peaceful elections in Afghanistan there are still ambiguities in the US-Afghanistan bilateral security agreement. According to some analysts USA does not need it anymore because after long civil wars and bloody American invasion in Afghanistan, first time Taliban have not created any hurdle in 2014 elections (which Americans are claiming as their victory), in such situation if US extends presence of her troops in Afghanistan this may raise suspicions in Americans about American claims of victory in Afghanistan. Although this question remains valid that why Taliban have not interfered into the elections in spite of verbal threats and statements? Is this a part of their policy or a result of Taliban-US dialogues; whatever the reason is; it seems matters have been settled between USA and Afghan which is a good news. We leave this topic for some other time as it is not our today’s topic. 1) India and Israel that were infiltrating terrorists into Pakistan via Khyber Pakhtunkhwa and Baluchistan from Afghanistan under US umbrella will not be able to continue their terrorist activities. Moreover, CIA will also have to face problems for cultivation of terrorists within Pakistan. 2) Next govt. of Afghanistan will follow the foot prints of present Afghan govt. and will leave no stone unturned to facilitate RAW, CIA and MOSSAD against Pakistan especially Baluchistan will be the target of enemies of Pakistan. Their only bet to limit Chinese access to Gwadar is by maintaining terrorism in Baluchistan. 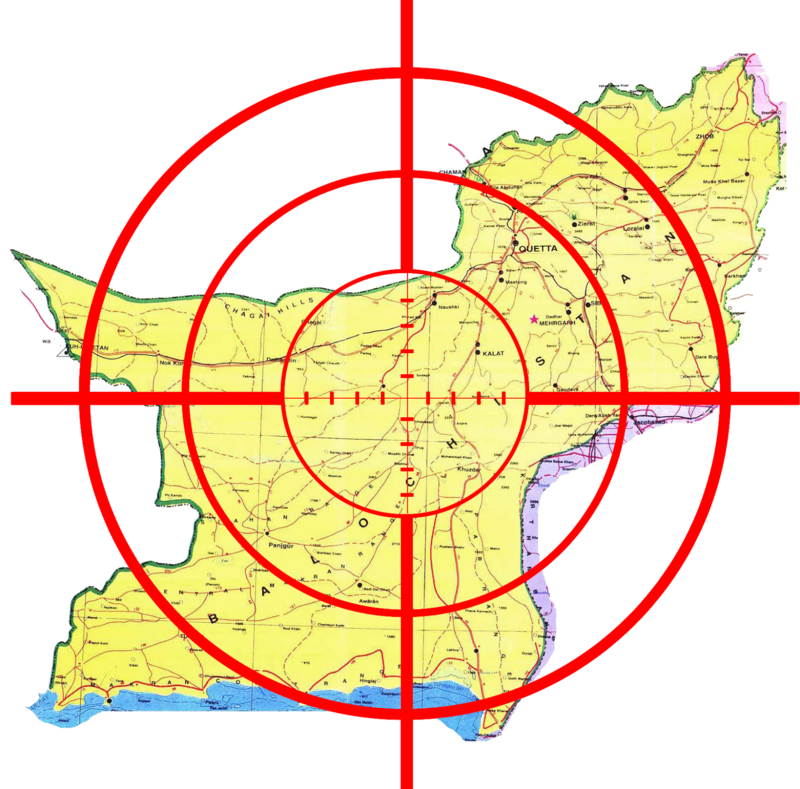 Target of Foreign Terrorists: Baluchistan!!! Because above mentioned countries have badly failed to stop Chinese access to Gwadar port in 2004 in spite of all of their terrorism. Their only bet to limit Chinese access to Gwadar is by maintaining terrorism in Baluchistan. Firing on passenger trains, sabotage of passenger trains, targeting of natural gas transmission lines, target killing, terrorism in the name of sectarianism etc all this was going on long before but now Baloch militants have started targeting public places outside of Baluchistan as well. This is a new technique adopted by terrorists by targeting fruit market in Islamabad. Although govt. has concerns that Baloch insurgents are not involved but foreign hand is involved in this terrorist remote controlled bomb blast, however, ground reality is that an unknown sub-organization of Baloch militants has claimed the responsibility for the bomb blast and Baloch militants have rejected this claim as well. This shows that whether any terrorist activity happens within Baluchistan or anywhere in the country and any militant organization lends this activity its name, the safe heaven of its perpetrators is Afghanistan and purpose is only to destabilize Pakistan. 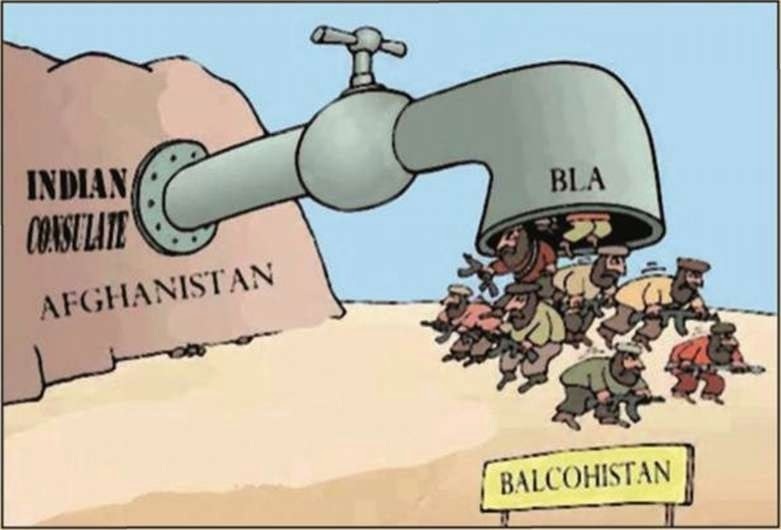 In the past few months Baloch militants have increased their activities and they are claiming responsibility for terrorist activities openly in order to lend Baluchistan issue international support. Another thing that makes Baluchistan issue from other issues is that in spite of being aware of external interferers our rulers are not ready to disclose their names and our FREE electronic media is not ready to name these perpetrators of so-called Baloch terrorists as well. These supporters of terrorists are providing latest weapons, training and finances as per the lives that are lost in Pakistan in their terrorist activities. Our media should inform the nation that who is providing funds to these so-called Baloch leaders living in Europe and staging protest rallies especially in London, New York, Geneva, Brussels, Oslo, Moscow, Toronto and Paris, who is paying expenses for seminars and their living in these cities? 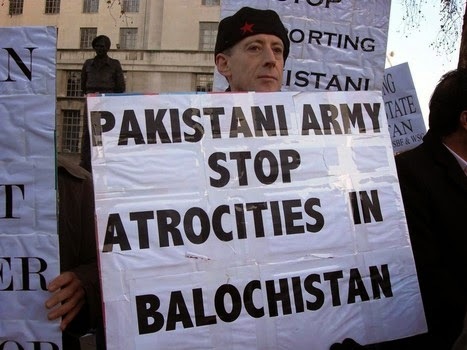 Including USA in many other European countries Baloch insurgents are facing criticism; various human rights organizations are pressuring their govts. to ban Baloch insurgents in the light of the loss of precious human lives in terrorist activities that are claimed by these Baloch terrorist organizations. a. In Europe and US media a propaganda has been launched that govt. of Pakistan has converted Baluchistan into a testing place for nuclear weapons. Regarding Chaghi this propaganda is going on that due to the radiations of Pakistan’s nuclear tests people of adjacent areas have developed various diseases and effected children have also been born. Different websites and pages over social media being run in the name of Baloch terrorists are flooded with such pictures showing affected people. b. 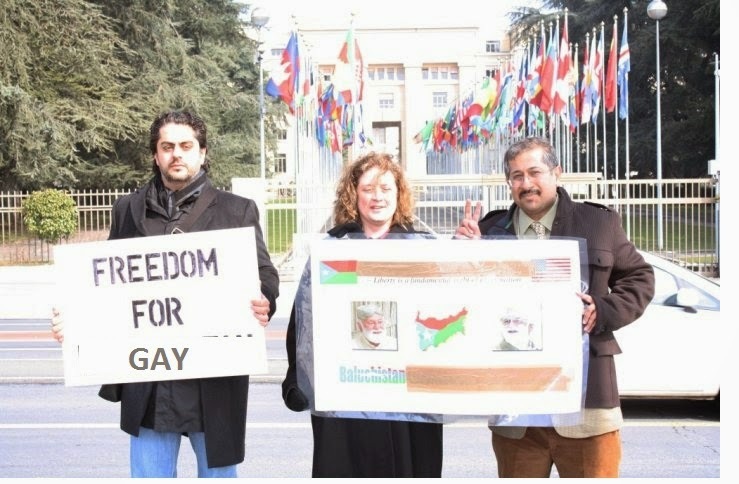 Homosexuality is being promoted in Baluchistan through a US based NGO and in this regard with the cooperation of many infamous international homosexuals or leaders of homosexual organizations a coordinated campaign has been started that Baloch people do not want to live their lives according to Islamic or eastern norms but fond of western culture but they cannot chose to live as Western culture unless they are not freed from the clutches of Pakistan. In order to borrow a place for homosexuality of Baloch people in western media many infamous leaders of such homosexual setups in spite of being disputed over international level are leaving no stone unturned in their struggle including a British national Dr Peter Tatchell, US homosexual Laurie Deamer and Samantha Power who have established an NGO in the America namely “Friends of Baluchistan” with the support of those members of US Congress who have presented bill for separation of Baluchistan twice. In order to promote this obscenity in Baluchistan gays from Baluchistan especially Sardar Nawab Mehran Marri living in Brussels and US nationality holder Masti Khan Baloch are on top of the list. Masti Khan having no link or background in Baluchistan or Baloch people is the most important member of Friends of Baluchistan NGO. Masti Khan Baloch is against the terrorist activities and BLA. He has written many columns that have been published in western media. His statements regarding Israel earned him much fame in Israel, “Ally in waiting for the Jewish State”. This should be also kept in mind that Israel is the only country where first and last exiled govt. of Free Baluchistan was established in 2004. This is due to the struggle of Masti Khan Baloch that British Peter not only announced to support gays of Baluchistan but also named his degree from Demontfort University to gay militants of Baluchistan. 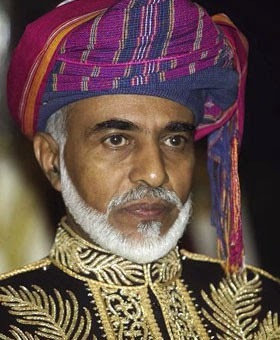 c. Traitors from Baluchistan on self exile are writing letters to Sultan Qaboos of Oman that Gwadar should be freed from Pakistan and taken back into the Sultanate of Oman. 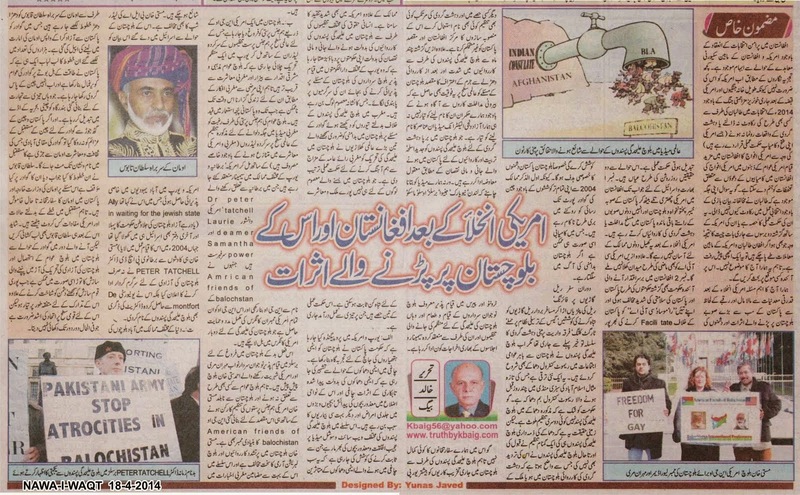 The central idea of all these letters is that Pakistan has captured Gwadar by force and now people of Gwadar are being pledged to China while China is converting Gwadar port into a naval port for Chinese navy and if Pak-China nexus is not tackled in time than Gwadar population whose culture is linked to Oman will be vanished. What Sultan of Oman has replied to these letters or what is his stance over Gwadar; Oman and Pakistani Foreign Ministry are still silent over it, however, after observing the changing scenario in the region and American interests in the region Sultan of Oman may express his opinion. But the bitter reality is that the conspiracy of Baluchistan and Gwadar can only be tackled successfully when nation undersands the conspiracy, can identify enemy clearly and ready to target enemy which needs unity at the national level which is absent on the national level in Pakistan!! !